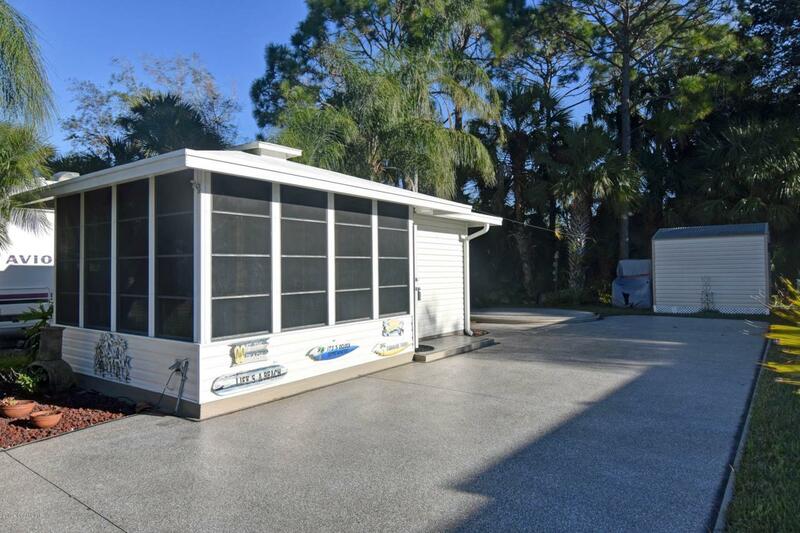 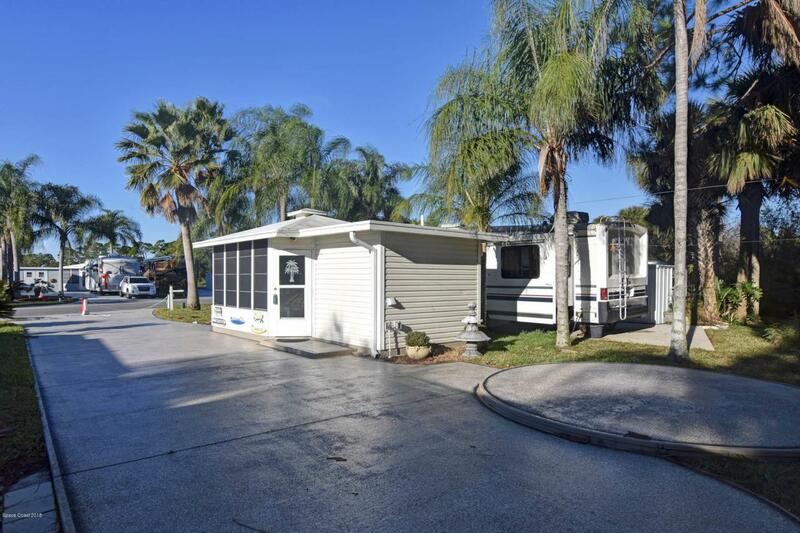 Beautiful RV Lot with Stunning Florida Room in immaculate condition. 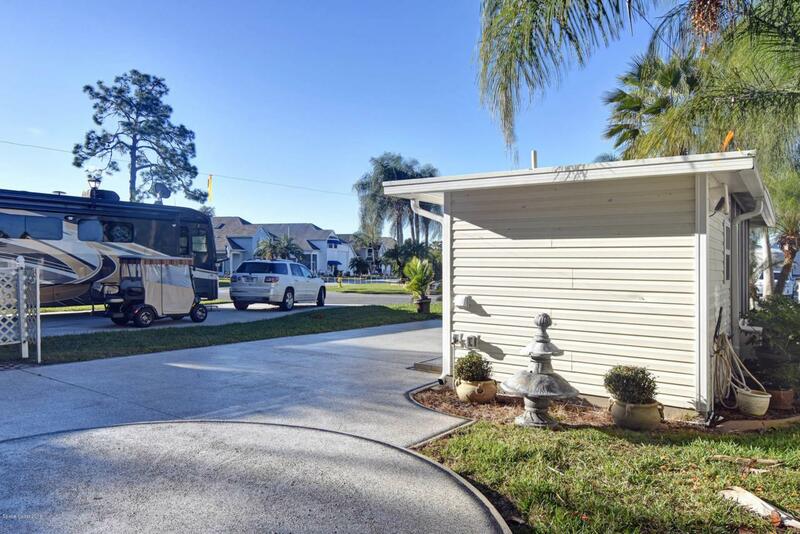 Fully furnished to include 2 x sofa beds, TV, All appliances, Exterior patio furniture and new AC! 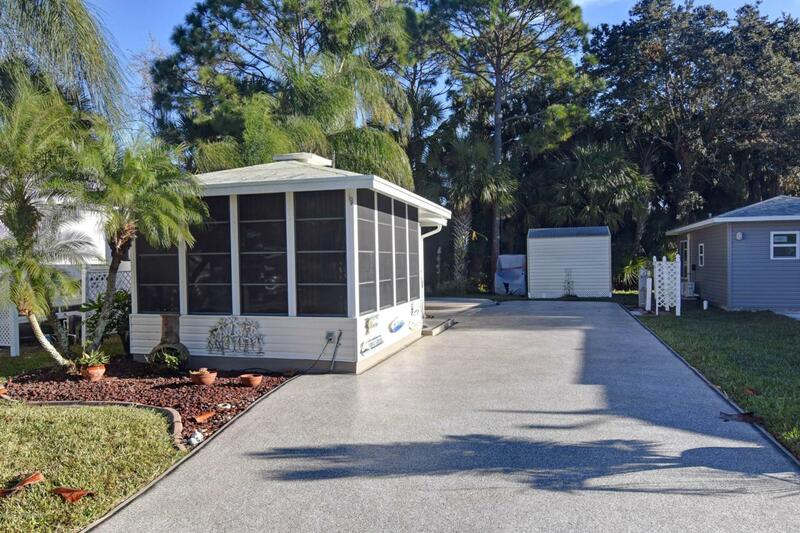 The Lot itself is decorative concrete in immaculate condition.